Last year I presented the table of contents of the upcoming anthology form FableCroft Publishing, “One Small Step” edited by Tehani Wessely. 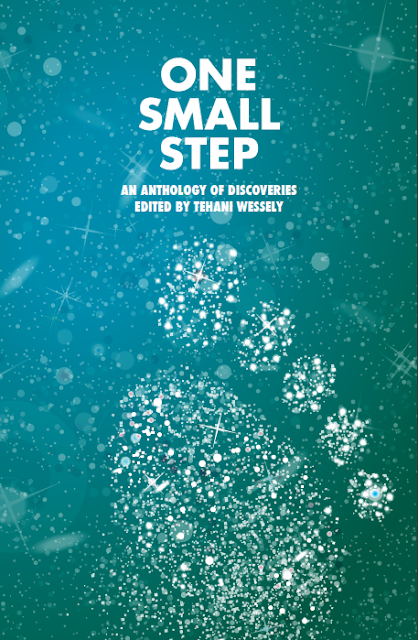 Now we can admire the cover artwork for Tehani Wessely’s anthology, one made by Amanda Rainey. It is quite a treat, a wonderful artwork that matches perfectly the theme of the collection. As a matter of fact, after seeing this amazing artwork done by Amanda Rainey for “One Small Step” I can’t imagine a better or more suitable cover for the anthology. And although the year is still at its beginning it is already one of my favorite covers of 2013.